Next up on the list is a nice little NES homebrew that has been in development for a couple years now. I love how tight-nit the community can be as I met Rizz at a gaming convention (Midwest Gaming Convention) in 2013 and played a demo of Armed For Battle. 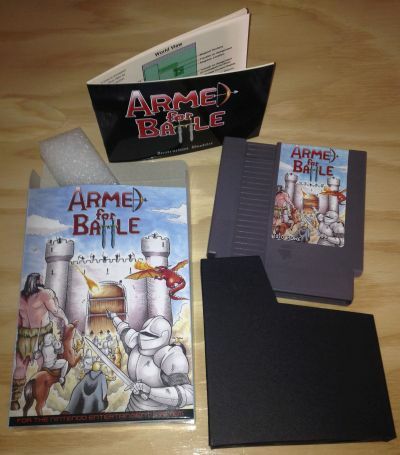 Fast forward to 2014 and the game now has a physical release on the NES! Armed For Battle is a strategic simulation game where your goal is to build up an Army in preparation for battle. 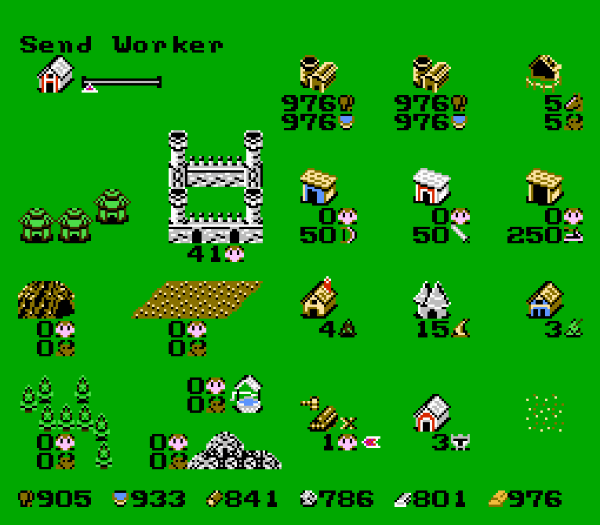 You do this by farming and building up your stock through the selection of different options in the game. After you have completed the first phase, it goes to the battle phase and you get to see how you fare against your opponent for the round. 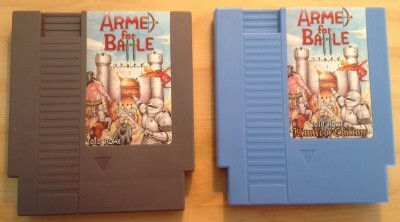 The strategic element of this game really ramps up as your progress in battles and it has a unique feel that I haven’t seen in a NES game before. Definitely one to check out if you are a fan of strategy games!